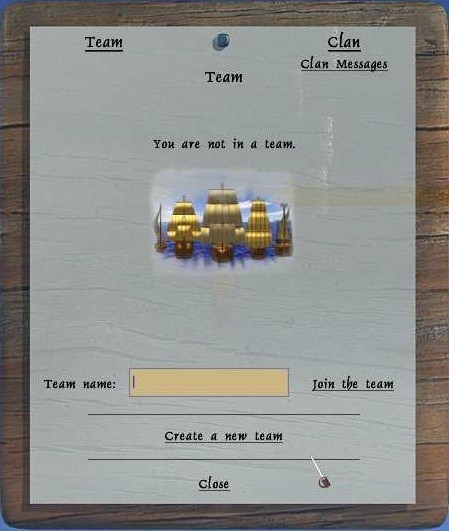 Click here for full team or clan guide. 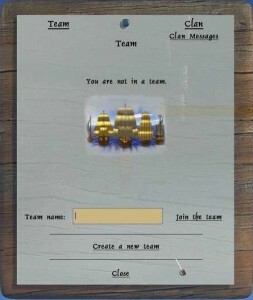 When you click team/clan you first get to the team part. 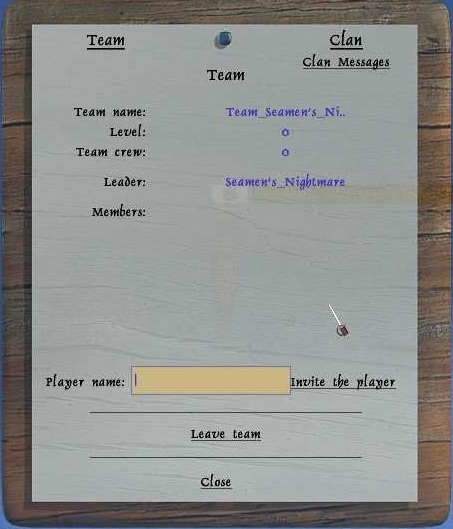 team leader of that team must accept you to join. 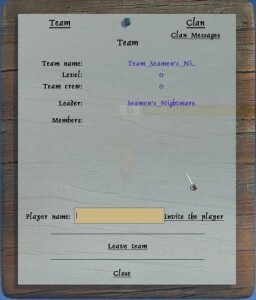 Or you can create a team that you then will be the team leader of. Also you got the option to leave the team if you desire. 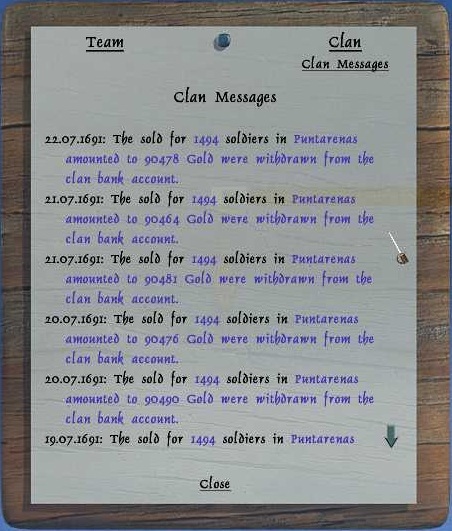 When you are in a clan you can press clan and see the details for your clan.Clan tag, that is shown on each player in the clan. Clan name, it will show up on city when the clan owns it. 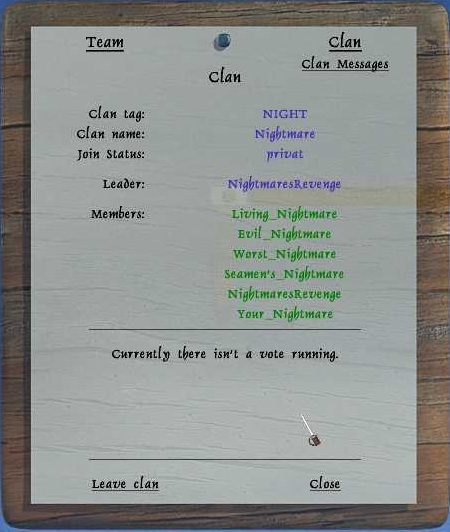 People can ask to join with the command /clanjoin clan_name Leader shows who got the clan lead. Members shows who is member of the clan, will be a (online) next to online members. it will show up here as well.